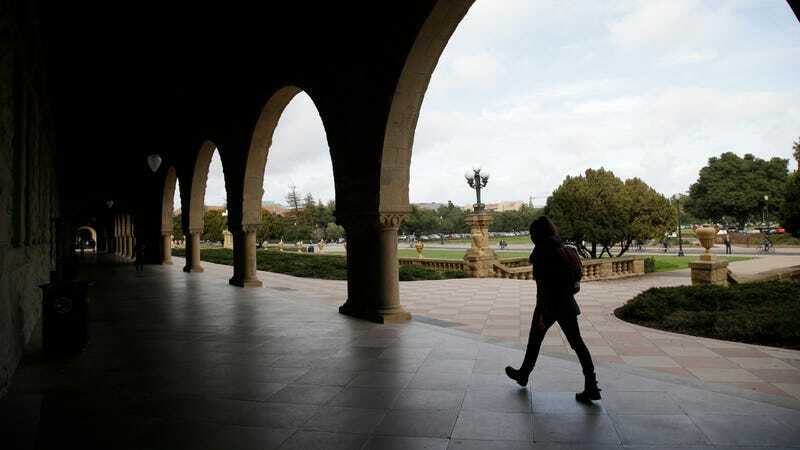 Three high-profile faculty members at Stanford University are under investigation for alleged ties to He Jiankui, the Chinese scientist who claimed to use CRISPR to produce genetically modified human babies last year, MIT Technology Review reports. That many U.S. scientists knew about the unethical experiment, yet chose to remain silent, is no longer in doubt. An aghast public first learned about the genetically modified twin girls this past November, when geneticist He Jiankui told a conference in Hong Kong about his work. Using CRISPR, He reportedly altered human embryos to make them naturally resistant to the AIDS virus, and then implanted them in their mother’s womb—a major ethical breach given the nascent state of gene-editing technology. A Chinese investigation subsequently found that He worked secretly, forged documents, and avoided the normal research channels. The embattled scientist is now in the hands of Chinese security authorities and will be reportedly “severely dealt with,” according to Chinese state media. News that some scientists were wise to He’s experiment prior to the Hong Kong announcement spread shortly afterward, including allegations that at least three high-profile Stanford University faculty members had ties to He. In response, and as MIT Technology Review reports, Stanford has launched an investigation to learn what these individuals knew of the experiment and how they, and possibly others, may have been involved. MIT Technology Review listed geneticist Matthew Porteus, biophysicist Stephen Quake, and neuroscientist and ethicist William Hurlbut as the three men under investigation. Quake is co-president of the multi-million-dollar Chan Zuckerberg Biohub and He’s former postdoc advisor. Gizmodo reached out to Stanford University and all three scientists for comment, but received no responses prior to the publication. It’s becoming increasingly clear that the cat was out of the bag prior to the Hong Kong conference, and that multiple people knew of He’s experiment, yet kept their mouths shut. As early as 2017, He began to seek counsel from senior U.S. scientists and ethicists, “seeking to win their endorsement, advice, and help with publications,” according to MIT Technology Review. The implications of this investigation, and likely others, are clearly serious. If U.S. scientists were heavily invested in this research, it would divert attention away from China’s lax oversight system, while also showing that He wasn’t the lone wolf he’s being made out to be. Finally, this incident is likely to expose a culture of silence that appears to exist among researchers. At least in some cases, scientists seem unwilling to speak out when they see dubious work or unethical practices, whether it be due to a desire to protect intellectual property, a fear of retaliation, a poor understanding of research ethics, greed, or something else. So while it’s tempting and convenient to point the finger at a single individual, we should remember: It takes a village to create a genetically modified human. We routinely look into concerns that are brought to our attention involving Stanford, and we have a review under way of the circumstances around Dr. He’s interactions with researchers at the university. The university has not named, and cannot confirm, any individuals participating in the review.